We M.S. ENTERPRISES manufacturer & supplier of BOPP Tapes, which is developed under the strict supervision of our talented professionals. Furthermore, we make sure to check these BOPP tapes at our in-house testing unit to ensure that these are in compliance with the international standards and norms. 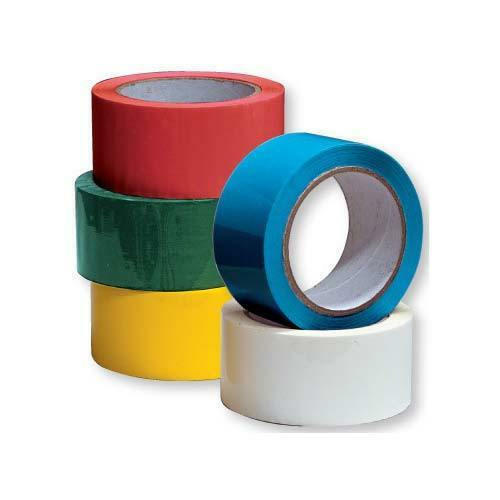 Clients can avail these high quality tapes from in standard as custom-made forms. With the rich industry experience, we, "M. S. Enterprises" have emerged as a leading manufacturer, domestic supplier and exporter of high performance oriented Corrugated Paper Board & Box Making Machinery. Our range of products includes paper board making machinery, paper corrugation machine (vertical), paper corrugation machine (oblique) etc. Due to our cutting edge technology and engineering excellence, we have earned a position of respect from our esteemed clients. Our stringent quality testing process allows us to maintain international standards of machines. We also provide after sales support like installation and commissioning, maintenance of machines to ensure long term functionality. With the enormous experience in this domain, we have achieved a wide client base across India.